The program funds this award in partnership with the Australasian Systematic Botany Society. The $10,000 award is given to fund a research project and to cover the cost of attending the Society’s annual conference. The inaugural Australian Conservation Taxonomy Award was presented to Todd McLay from the University of Melbourne for his research entitled ‘Classification, phylogeny and conservation of Xanthorrhoea in Western Australia’. This research is part of a larger PhD study which aims to interpret the evolutionary history and species boundaries of Xanthorrhoea using both morphological and molecular data, with the ultimate goal of producing a monograph of the genus. From a conservation perspective, Todd’s work on Xanthorrhoea in south west Western Australia, which is a global biodiversity hotspot, should provide important information to inform future conservation planning efforts in Gondwana Link and the Great Western Woodlands. The funds offered as part of this award will allow Todd to travel to south west Western Australia to undertake his research. 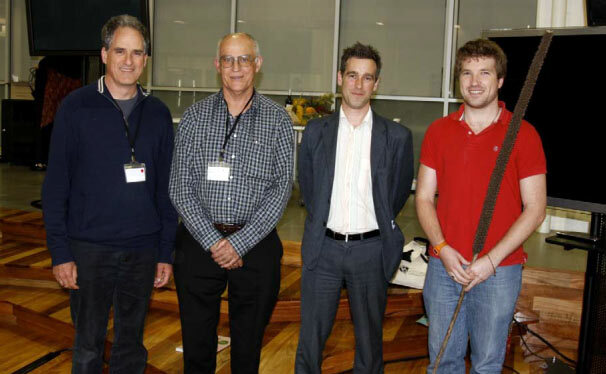 Todd presented his research to date at the Australasian Systematic Botany Society’s Annual Conference in Perth (23-28 September) and was presented with the award at the same function. The 2013, Australian Conservation Taxonomy Award was awarded to Lalita Simpson of the Australian Tropical Herbarium and James Cook University. Lalita’s PhD project assesses the taxonomic status and threat of climate change to species and genetic diversity within Australia’s tropical mountain top flora. These mountain tops represent a naturally fragmented archipelago of cool islands in a sea of warmer lowland climates and are important biodiversity hotspots harboring a unique flora with high levels of endemism. Recent climate change scenarios indicate that this specialized mountain top flora is highly vulnerable to global warming as the predicted upward species’ range shifts leaves them nowhere to go. She focuses on epiphytic orchids endemic to Australia’s Wet Tropic mountain tops as suitable model groups to assess the threat of predicted climate changes on the diversity and conservation of flora of these habitats. As epiphytes, they are sensitive indicators of environmental changes and because of their highly restricted distribution they belong to the Australia’s priority groups for plant conservation efforts. In order to support efficient, evidence-based biodiversity conservation and management decisions, comprehensive baseline data that will help determine what exactly is at risk are required urgently. The award was presented to Lalita at the Australasian Systematic Botany Society conference in Sydney. James Shelley from the University of Melbourne was the winner of the 2014 Australian Conservation Taxonomy (Zoology) Award. 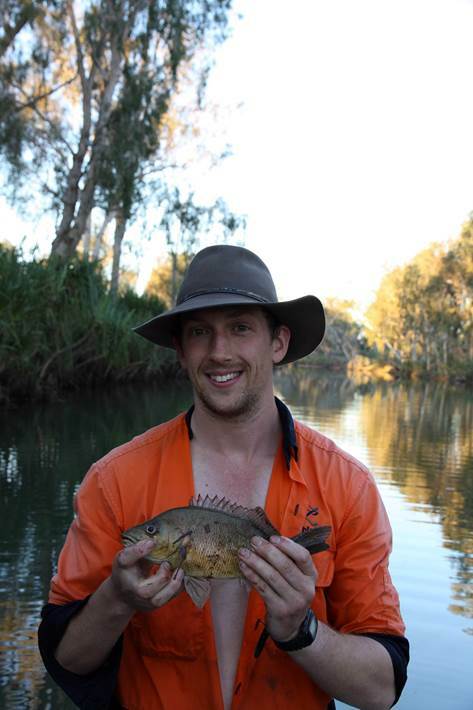 James’ research is entitled “The Kimberley Ark: assessing and conserving freshwater fish biodiversity in Australia’s last pristine river systems” . His project, will provide a much needed baseline assessment of freshwater fish biodiversity in Kimberley region. His study is of importance to the conservation of one of Australia’s richest and least known freshwater fish faunas. He will formally describe 15 candidate new species that he discovered during the fieldwork associated with his greater postdoctoral research project. The award prize money will help cover his expenditures related to a specimen collection fieldtrip and genetic and morphometric analyses costs.